Day Eight. 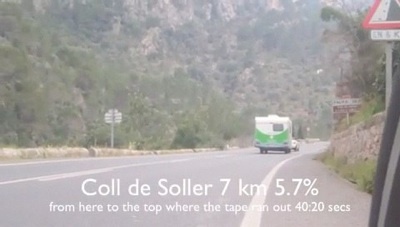 The Coll de Soller. 5.7% Part one of challenge complete! Time: One hour and half perhaps. Cigarettes in the last 24hrs: Zero, that’s three days without, the hardest they say. Still no cigarettes, but my month is so dry and no matter how much I chew gum or eat Halls sweets, tastes strange. I guess that’s to be expected after a pack a day for twenty years. 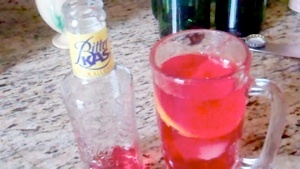 Just went out to get some Bitter Kas, forgot that this one is “sin alcohol”, oh well next time. I thought it was going to rain so I choose to ride to the bottom of the Coll de Soller. Riding to the top was part of the challenge I set myself eight days ago. See Pro Bike fit., entry. Well I got to the bottom and kept riding. Having been passed by many riders I did make it to the top. Oh it did rain in the village while I was puffing up the Coll.